The celebration will be held on Thursday, June 15th at The Msgr. 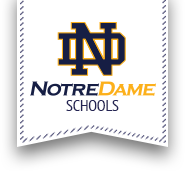 Francis J. Willenburg Center located at Notre Dame Jr/Sr High School. There will be a cocktail hour beginning at 5:30 pm and dinner to begin at 6:30 pm. Tickets are $30. Reservations are required and can be made by sending in the form located below.